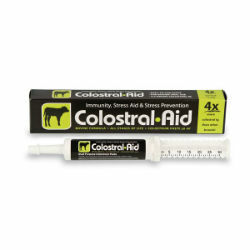 Provides fast, convenient immune and nutritional support for newborn calves. In small amounts, feed entire contents of syringe into back of mouth, allowing time to swallow. Contains a single feeding for calf or adult animal.